…can be reached down this muddy track. Actually, I have no idea if the farm still bears the same name, so if you happen to know, do feel free to educate me (Claude will know this one if he’s still following). 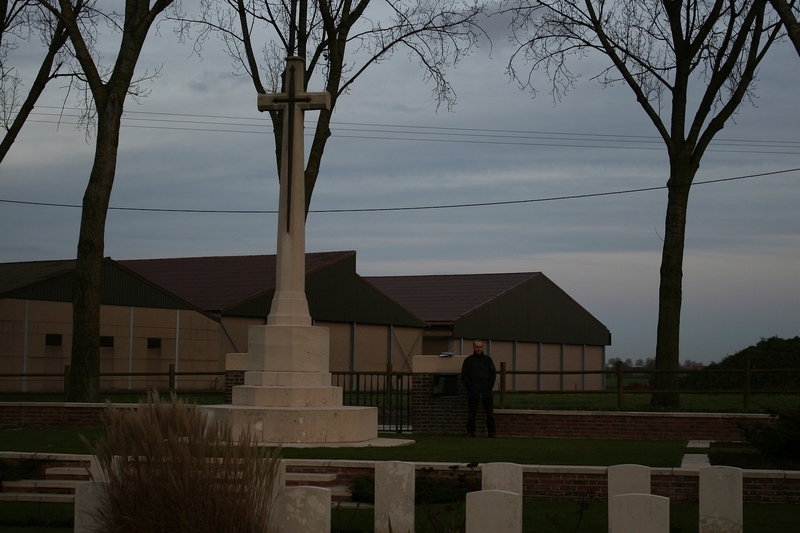 La Plus Douve Farm Cemetery was begun in April 1915, a few months after its neighbour, Ration Farm (La Plus Douve) Annexe, but continued in use longer, until April 1918, when the German offensive swept through the British lines and the valley of the Douve found itself under German occupation. Neither cemetery was used again. 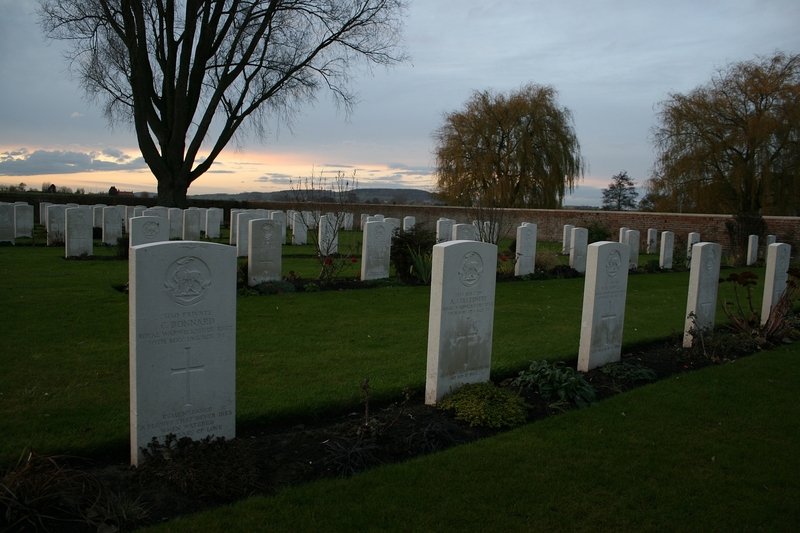 There are 336 British, Australian, Canadian and New Zealand graves here, and unusually, as far as I can see, all are identified. 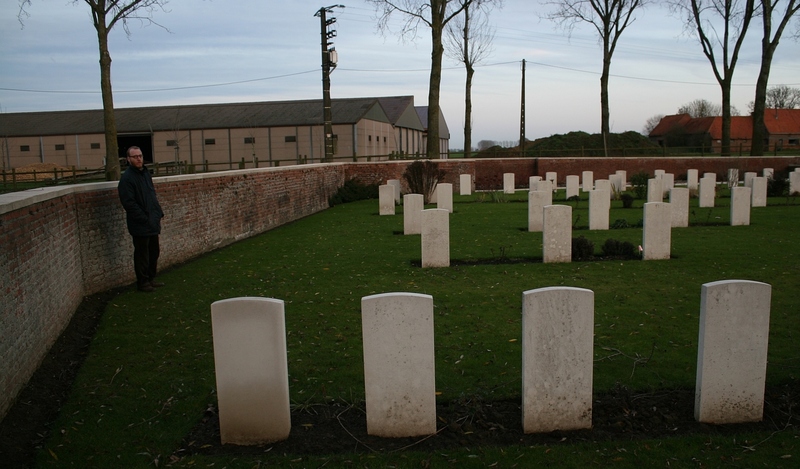 The southern end of the cemetery, with Plot I in the foreground and Plot III beyond. 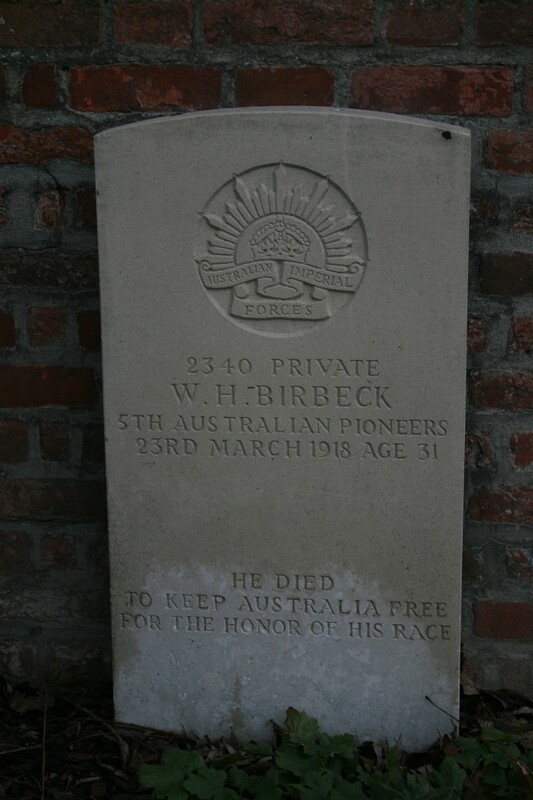 …Private William Henry Birbeck, 5th Australian Pioneers, although the spelling of ‘honor’ without the ‘u’ seems curious for an Australian inscription. …does at least explain the spelling – his entry is the one added in red pen. Looking north along the headstones of Plot III (nearest camera) towards Plot IV and Plot VI in the far distance. Before we leave the southern part of the cemetery, you may remember I mentioned in the previous post that Baldrick and I had a mission to fulfil whilst we were here. 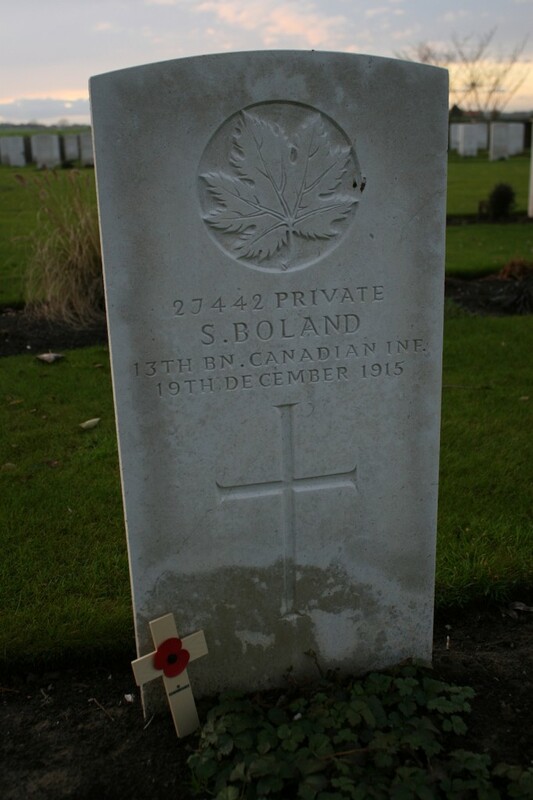 Our objective was to place a cross at the grave of Private Sidney Boland, whom I had stumbled across, so to speak, on a Canadian lady’s blog whilst researching La Plus Douve Farm Cemetery a few days before our visit. We duly found him in Plot I Row A.
Ah, the power of the interweb. Plot IV. 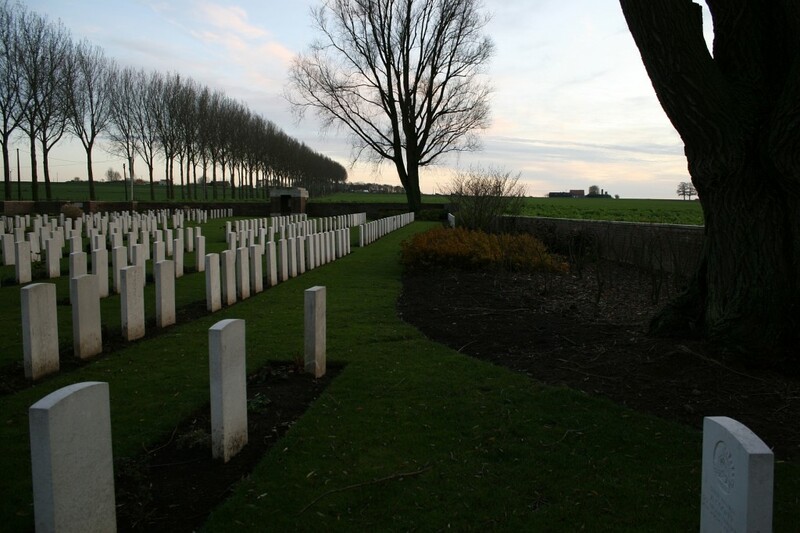 Note the German graves in Rows A & B in the left foreground. Plot VI is in the background. Plot IV Rows C (right) and D (centre). 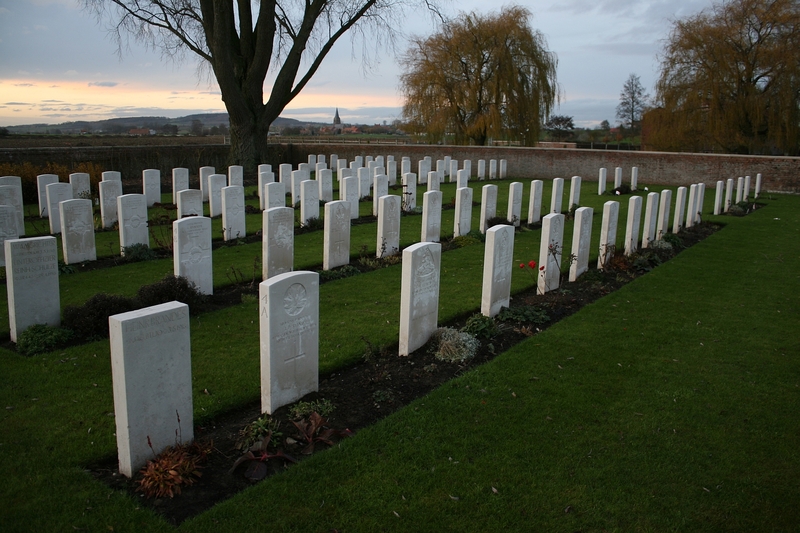 The men buried in Plot IV Row E (the six headstones nearest the camera to the left – those beyond the gap are Plot VI Row D) are among fifteen men in the row who were killed in the days preceding, or during, the Battle of Messines in June 1917. 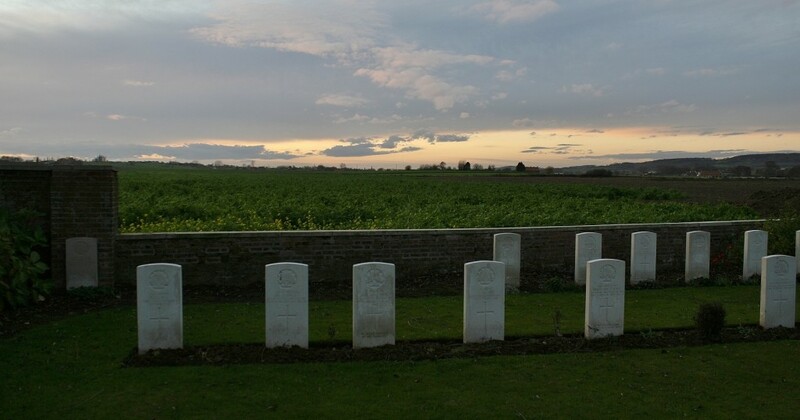 The 1st New Zealand Field Ambulance had set up a Regimental Aid Post here, and eight men of the Auckland Regiment, killed on the 7th June, the first day of the battle, lie side-by-side in Plot III Row A. 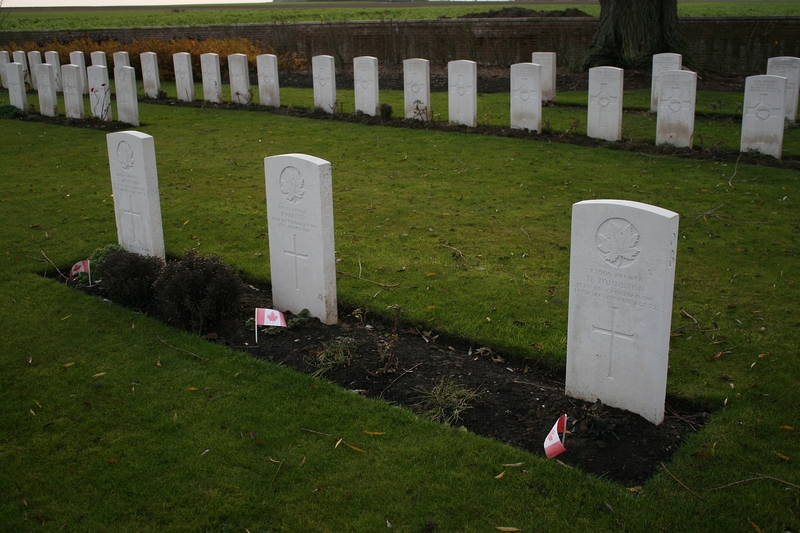 Plot VI Rows D (foreground), E & F, in the north west corner of the cemetery. Now you may well have spotted this in some of the earlier photos, and if you have previously joined us on our ‘Tour of the Messines Ridge’ you will already be well acquainted with it, but away on the horizon to the north west you can see Mont Kemmel, by far the highest point behind the British lines, and heavily fought over in April 1918 as the Germans pushed westwards. The spire is that of the church at Wulvergem. 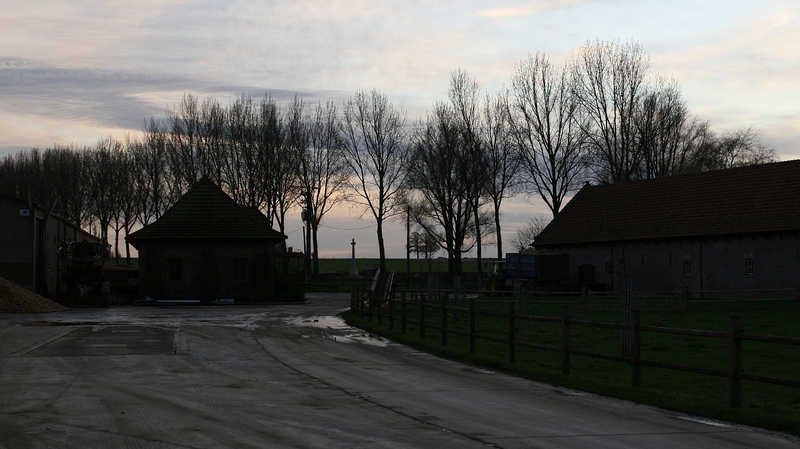 View north across the farm pond towards the Cross of Sacrifice within Ration Farm (La Plus Douve) Annexe. Looking east along the northern boundary wall from Plot VI, Row C in the foreground and Rows B & A beyond. Plot V comprises the three rows in the background. 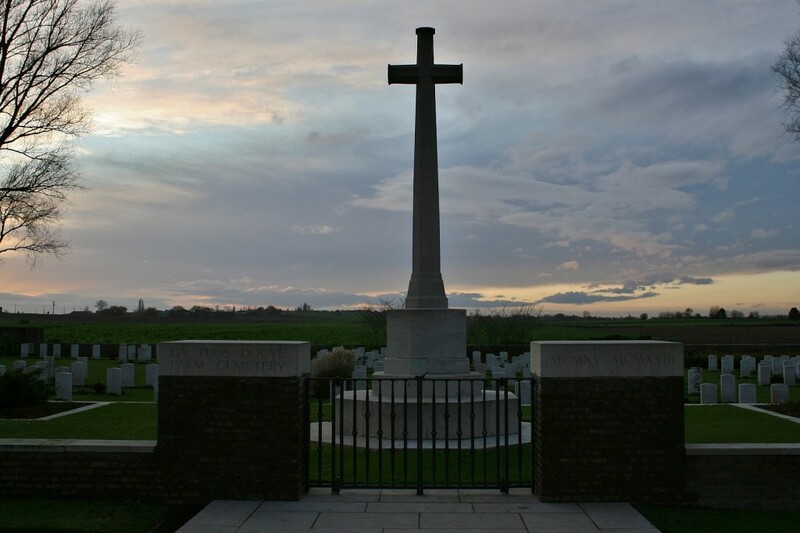 …and from a similar position, looking south east towards the Cross of Sacrifice. 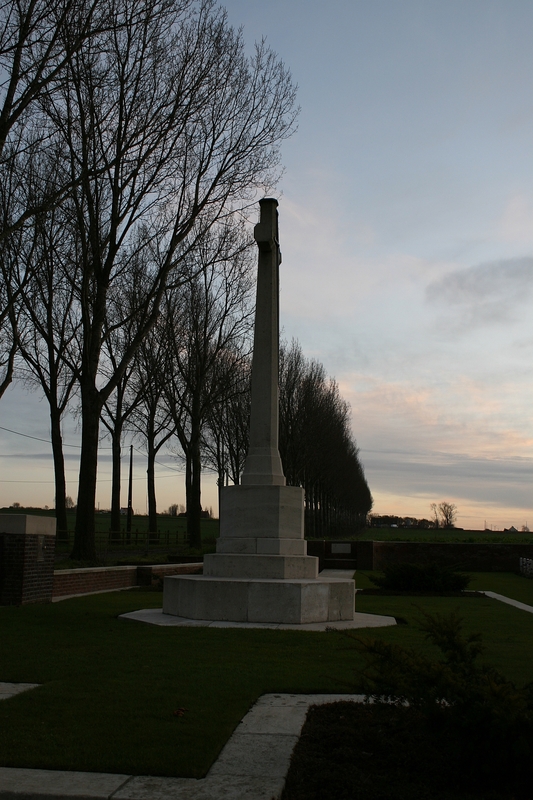 The first burials in the cemetery were made by the Royal Warwickshire Regiment at the start of the Second Battle of Ypres in April 1915. 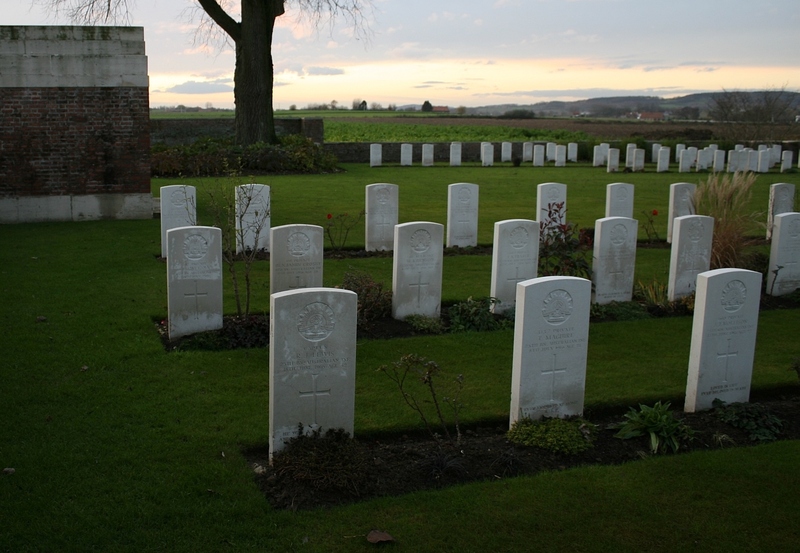 The Warwickshires held this sector of the line until early June 1915; the men whose graves are pictured above were all killed at the end of May, and are buried in Plot V Row A. Now here’s an interesting thing. At some point early in 1915 Lieutenant Bruce Bairnsfather of the Royal Warwickshires whom, you may remember, we met before during the ‘Tour of Ploegsteert Wood’, was billeted at the farm. It seems to me that we are a bit close to the front line for billets, but it appears that Bairnsfather, whose first cartoon had been published in The Bystander at the end of March, had been sent here by his Colonel in order to decorate the walls of the farm with his art. Later to become one of his most famous sketches, “My Dream For Years To Come” was first drawn on the wall of a store room here. The farm, as I mentioned in the last post, was used as a battalion headquarters on more than one occasion, and it would seem that it was being used thus by the Warwickshires during Bairnsfather’s stay. As an after note, Bairnsfather was seriously injured by a shell explosion in April 1915 during the Second Battle of Ypres, and was evacuated to England. He would never return to the Western Front. 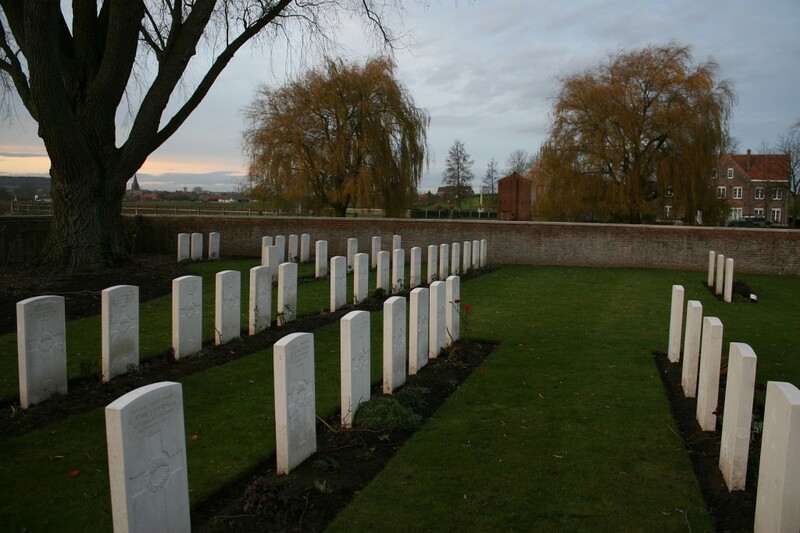 There are 86 Australian casualties in total buried here. Nearly all the 1918 burials are Australian as it was they who held this sector of the line during the days leading up to the German offensive in 1918. Lance Corporal Street’s full name was Hubert Harry Styles Street. Just thought you’d like to know. Walking back down the track beside the cemetery, this view looks almost due west towards what was the British rear area for much of the war. If we walked for half a mile, past the tree to the far right and across the fields, we would come to the next cemetery we are going to visit. Alternatively, we could always take the car. As the light fades and we leave this secluded, peaceful place, this final shot silhouettes the trees that line the western boundary of Ration Farm (La Plus Douve) Annexe against the evening sky. This May 1918 map shows a trench called Fanny’s Avenue (circled in orange), and the site of La Plus Douve Farm (circled in green). If you follow my conversation with Avis Gillard following this post, you will understand why it has now been included. 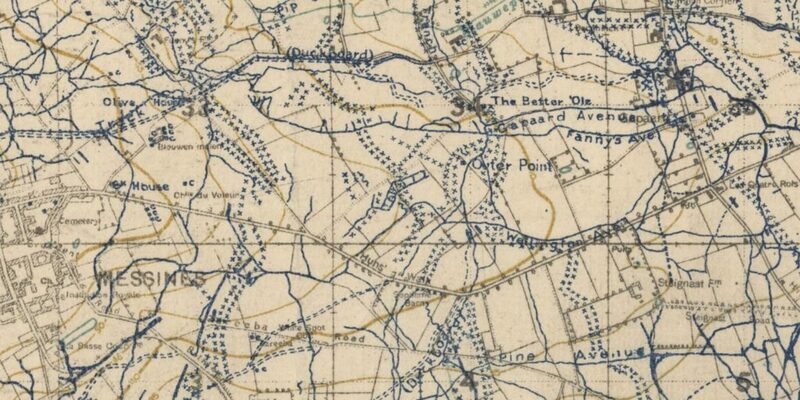 Extract from the map, Messines to the bottom left, Fanny’s Avenue top right; notice a feature marked as ‘The Better ‘Ole’ just above it, which is, of course, the title of another well known Bairnsfather sketch. 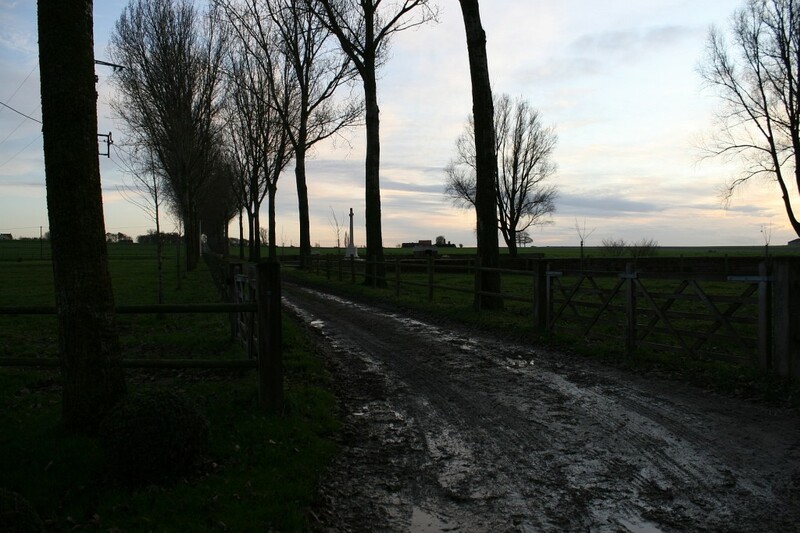 This entry was posted in Messines, Ploegsteert, Wulvergem. Bookmark the permalink. I like some information about the “spermalie” or “sparmalie” farm (Zeebrugge Uboot-Harbour), raid on Zeebrugge (april 23, 1918). (Need email-adress to provide attachments. 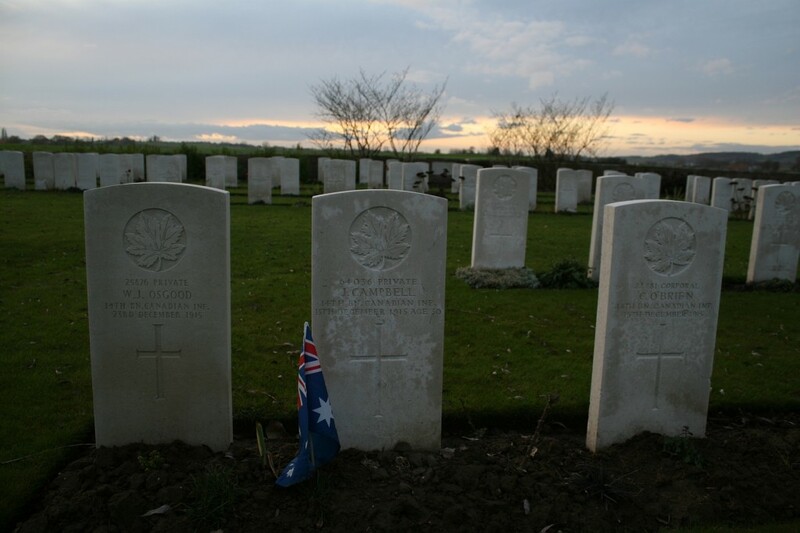 A moment of wonder about the Aussie Flag planted in front of Canadian Private Campbell’s grave. A member of the Aussie Branch of the Campbell Clan that found him on a visit, and decided to honour him, and adopt him as one of their own? Yes, that sounds like a warm way to imagine it this cold day. And, I will be waiting for the next posting. For two of that cemeteries fallen bear a distant literary connection with one of my great uncles who rests at Railway Dugouts. More on that at the next post. Well I wish I could say it was a beautiful cemetery, and perhaps it is to some….but wait, I give too much away. Patience. 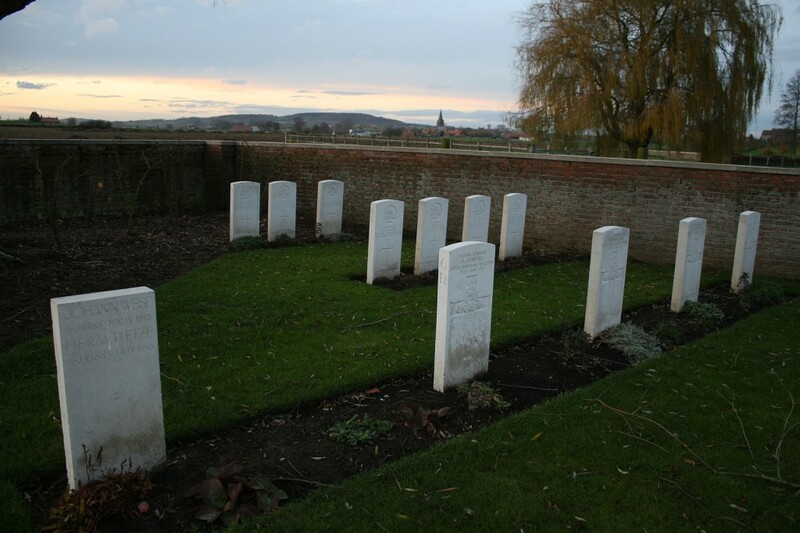 I have some information about englisch graves and monuments in the Belgium/Flanders Bruges-region (Zeebrugge-Blankenberge) concerning the britisch attack on the Zeebrugge-German-Ubootharbour (23 april 1918). I’m doing a history project right now where we choose a random Australian soldier (without a Wikipedia page) who served in World War 1 and find out information about them through only primary sources. My soldier is Lance Corporal Hubert Harry Styles Street and now after a week of searching, I’ve finally found his headstone. Thank you to whoever took the photo. Hope you don’t mind if I use it for my assignment. No Kate, I don’t mind. Thank you for asking. Hope the project goes well. I visited this lovely cemetery last week 26/09/15 with my family and found the grave of our relative Dennis Beever, although from West Yorkshire he was sent to the 9th Glasgow Highlanders and was killed on 19/10/17. Does anyone know what activity or offensives he might have been involved in? Our sat nav brought us in down a long (dry) track, arriving with the cemetery on our left. Hello Debbie. Sorry for the delay in responding but I have been away for the week. 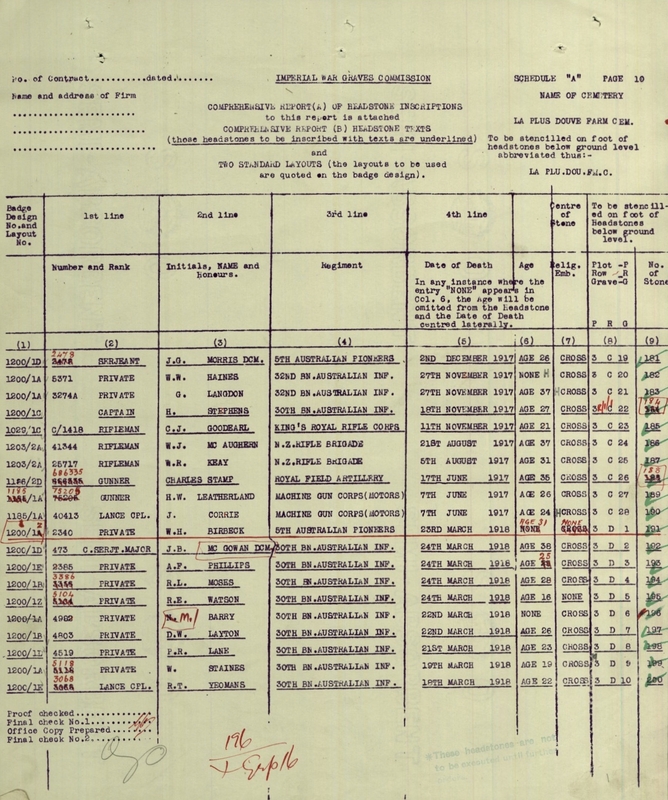 You need to get hold of the Battalion War Diary. I should get in touch with these guys: https://www.greatwardiaries.co.uk/regiments/gordon-highlanders if you can’t find it elsewhere. Btw, I presume the track you refer to is the one visible in the second photo above. Thanks for the reply, I am chasing the war diary but its not on http://www.greatwardiaries.co.uk as yet. It is held by Glasgow City Archives who I have messaged re access. I just wondered if you had any other info. The track looks like the one on the photo though it was thankfully dry and a very pleasant evening. From your info it looks like you can get to it via the farm, the track was the way the sat nav sent us and it does actually say Private Lane at the top – oops! I can help out on the Surrey Battalions but that’s about it I’m afraid. Have you read the preceding post to this one? It shows you the ‘correct’ way to reach these cemeteries. Lol! I didn’t discover this great wesite until after we had been, the instructions would have helped, the sat sav took us to the lane, we nearly didn’t go down it after seeing the Chemin Privé sign but a local told us it was the way to the cemetery so off we went, nobody objected! I had a similar experience on the Somme earlier in the year – only someone objected strenuously!! I am glad you are enjoying the website anyway Debbie. If you sign up (you can do so beneath the comments at the bottom of the page) you’ll get notified whenever I post new posts. We are planning to visit our great uncles grave at La Plus Douve Farm Cemetery. We will be travelling by train from Copenhagen and would appreciate any advice on the best route, which town to head to Eg. Lille or Ypres? Also how to get to the cemetery. Many thanks. Well Wendy, first of all the cemetery is nearer Ieper than Lille. But because I do all my travels by car I really don’t know anything at all about Belgian public transport. 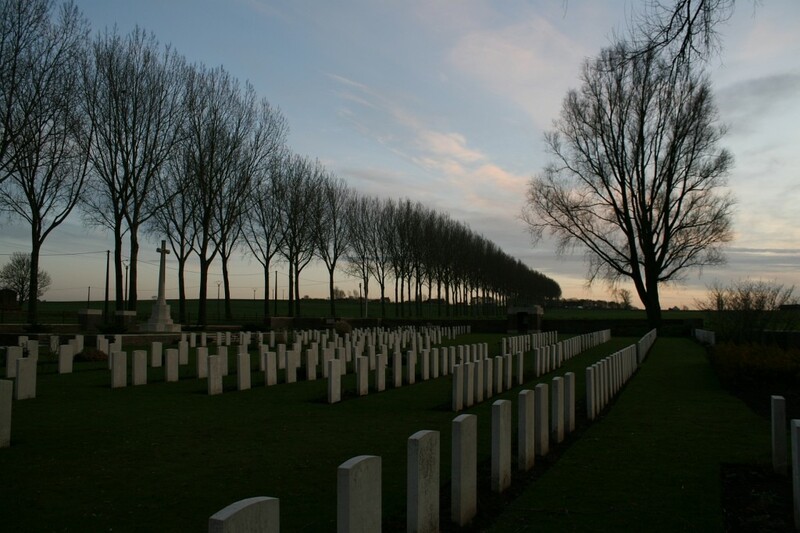 Get in touch with the Ieper Tourist Board and ask them if there’s a way to get to La Plus Douve Farm Cemetery by public transport, that’d be my advice. Unless one of our Belgian readers can help? I have been it is in a rural area and out of the way, I would be surprised if you can get public transport. Maybe, I live in France not Belgium so I dont know for sure, but even Taxi’s are few and far between in rural areas here and are very expensive. You might be better with a hire care for a couple of days. Visited La plus Douve Farm Cemetery with My son Anthony in July 2017 and visited the Grave of my Great Uncle Pvt Darcy Walgett Layton who came from Collarenebri nsw Australia…we found it very moving but what a beautiful setting and place to rest for a boy who worked on the farm in country New South Wales..the cemetery overlooks the farmed paddocks in a valley all lush and green R.I.P. Darcy sorry we took so long to visit you. COLLARENEBRI IS 150 YEARS OLD THIS YEAR and you are not forgotten. Am looking for further info on Darcy we have no known photo of him. Thanks for commenting, Steve. Hope you find a photo one day. It certainly is a tranquil setting, I am going back to visit my great uncle’s grave there on the 100th anniversary of his death this October, he was in the Glasgow Highlanders. It’s interesting to me how many comments there have been on both this post and the Ration Farm Cemetery post over the years. Many more than I perhaps expected at two cemeteries that are hardly on the tourist trail. 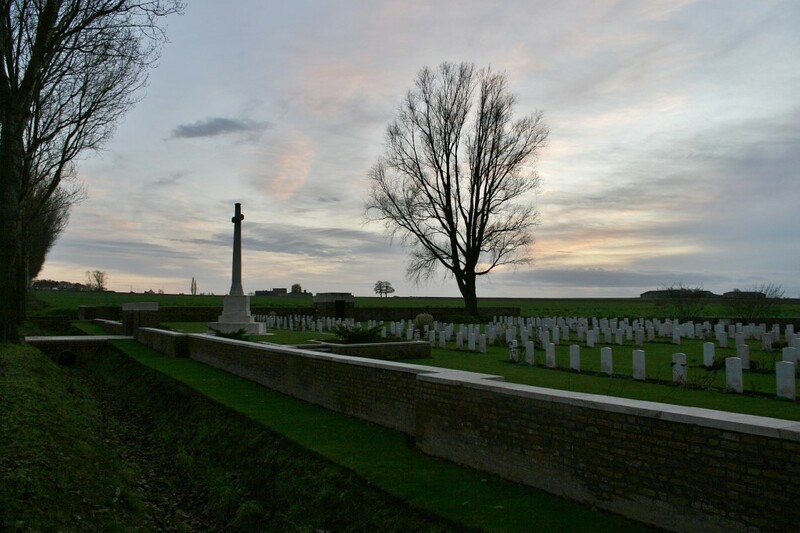 Dear Magic Fingers,,,God Bless you for your generosity in sharing your photos,both my cousin (who I am researching for) are both 85 and too old to travel…you magically took a photo of a lone grave under the tree in the south west corner of La plus Douve Farm cemetery. thanks to you we now have a photo of our Uncle /Cousin. William Henry Birbeck Australian Pioneers . died 23th March 1918. a very grateful relative from South Australia. Thank you so much for your sweet words, Avis, and I am so happy you and your cousin now have a photo of William Birbeck, in one of my favourite locations. You are most welcome, and thank you for taking the trouble to comment. You must be so busy to take the trouble to answer my comment All we had of La Plus Douve Cemetery was a very old Black and white scanned photo …probably sent back to Aust. after the war 1919 because the tree over our William Birbeck was just a sapling ! Our sincere, grateful thanks again. I always try to reply if possible Avis. This site is about the people whom we remember, the men and women who fought, and also about you, the reader. Where would I be with no readers/viewers? And as I said in a post very recently, every time somebody somewhere in the world visits my site and reads a post or looks at the photos, the memory of all these brave souls from a hundred years ago is being kept alive. And that, in the end, is all I can really hope to achieve. 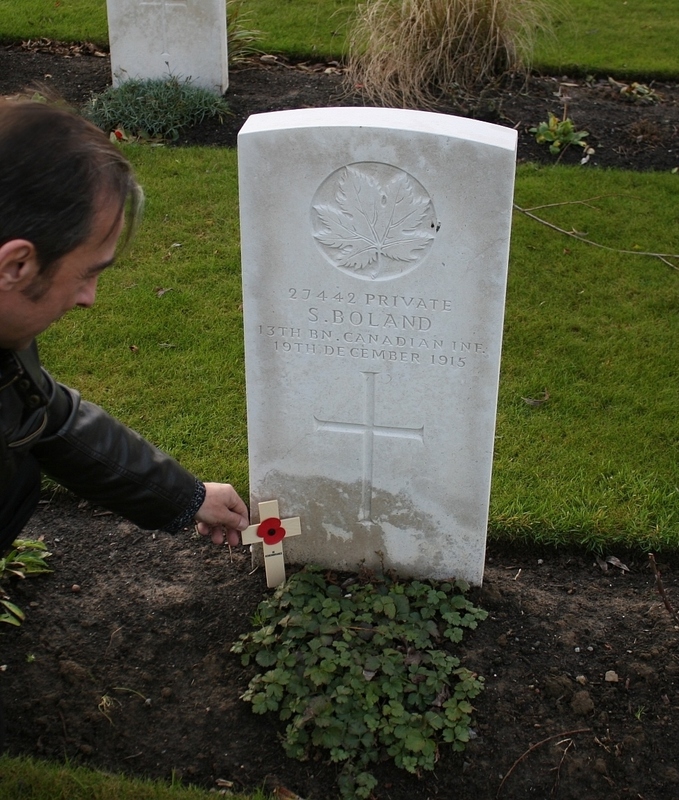 Thank you for your meaningful words….I too have appreciated the sacrifice of these long suffering men,in the trenches mud and drenching rain… one family member came home with both lungs damage with T.B. he only lived 5 years after coming home he has no name on our Aust War honour roll but I made sure he had red poppies and tributes on his life story I wrote in our family history, had he not gone to fields of France he may have lived a long life. 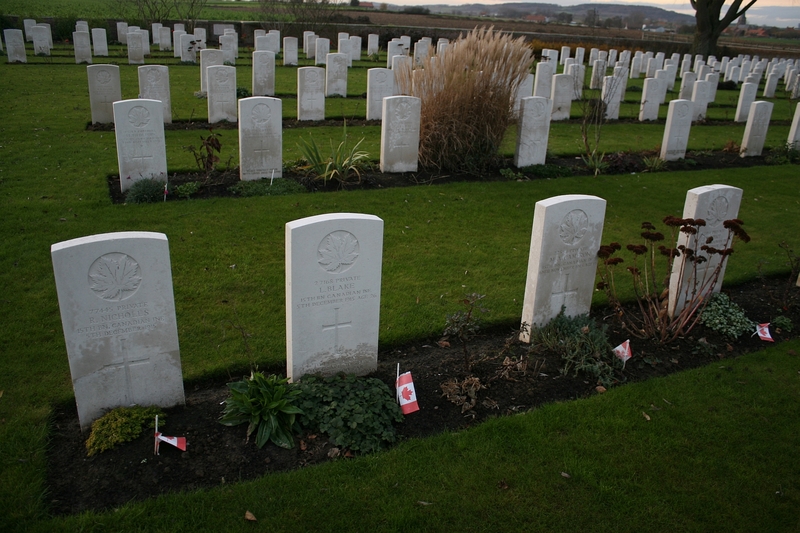 this past month collating the photos and data of La Plus Douve Farm you kindly shared I have paid tribute to all these men, so young, no older that my grandson. God bless them. Great photography by the way ! My family were lucky during the Great War. One Grandpa was wounded in the foot on the Somme, another survived the war having served in the Mercantile Marine (Merchant Navy), and an Uncle won a Military Cross on the first day of the Somme and was captured in 1917, but returned safely at the end of the war. I still have his medal and a couple of his POW letters. Anyway Avis, I am so glad you have found my site useful – and thanks for liking the pictures – I am no photographic expert, but I do have a good eye. Dear Magic fingers thank you for your generousity and Sorry to bother you: I manages to find some Trench maps on your site I am’ Internet ignorant’ I have discovered my Birbeck cousin William Henry was K.I.A Mar 23 1918 “fanny St. Trench near day St. Messines A C 30 ? ” he was then buried La Plus Douve cemetery can you advise me how to access ….? 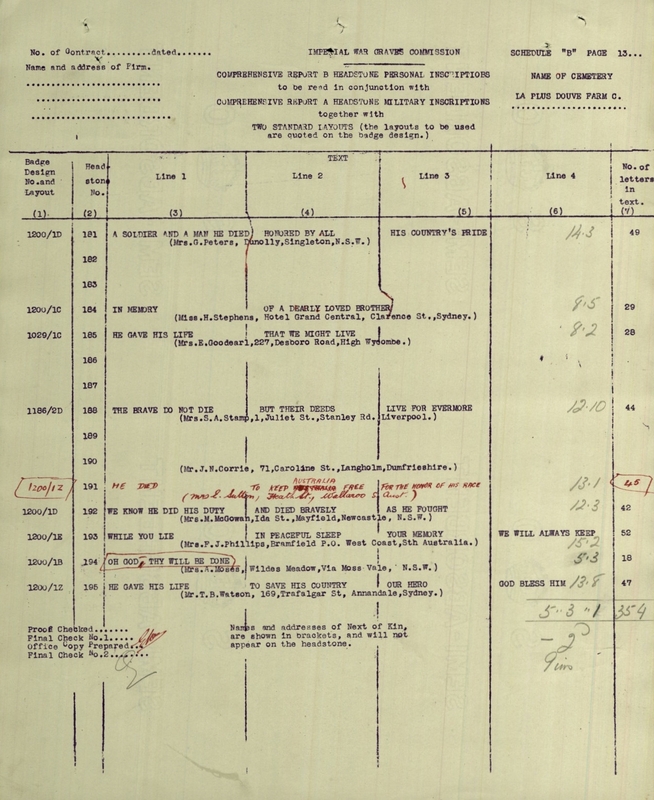 or if you have previously posted any trench Data on Messines ? 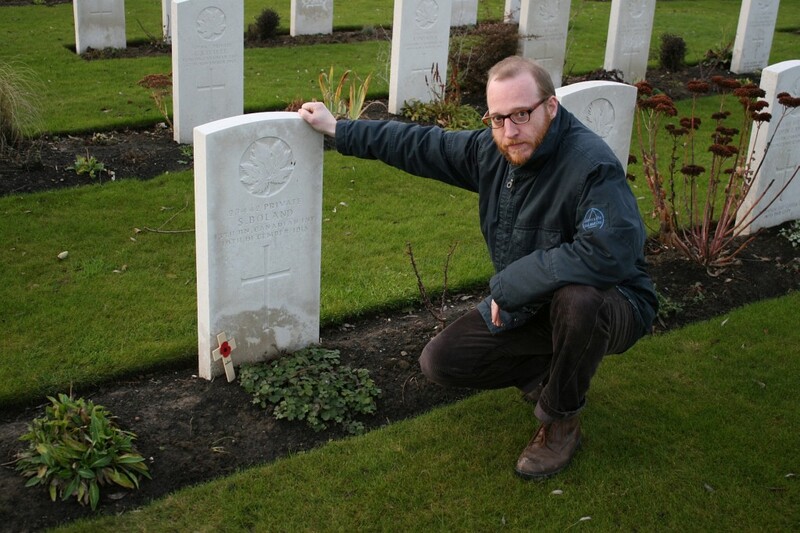 My cousin Mervyn Birbeck was so excited with the data and photos from your site on his uncle’s grave, La Plus douve cemetery he is sharing it all with his local “Return Soldiers league” club. Hello Avis. Absolutely no bother at all – feel free to ask anything you wish at any time. There are Messines trench maps, indeed a whole tour of Messines, on this site, which you might find of interest. 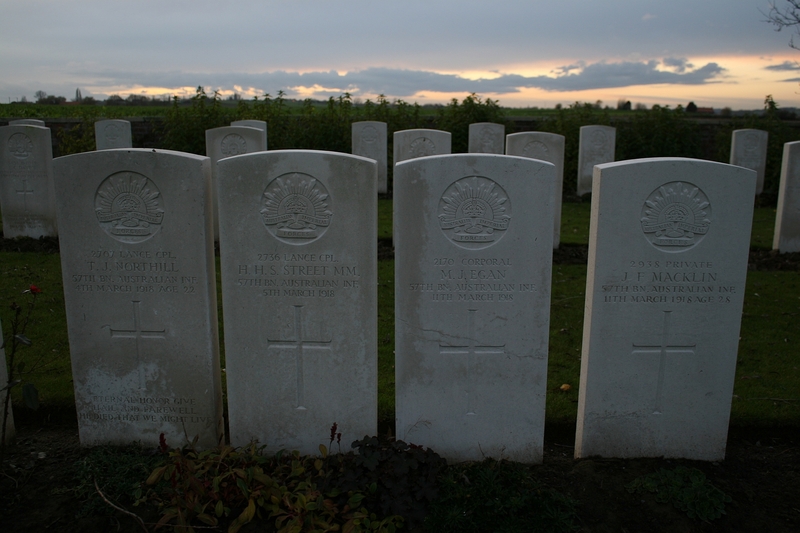 I have a book listing hundreds of trench names, including Fanny’s Avenue & Fanny’s Farm, both near Messines, but I cannot find a Fanny Street, I’m afraid. Where did you get the information that said Fanny Street Trench? 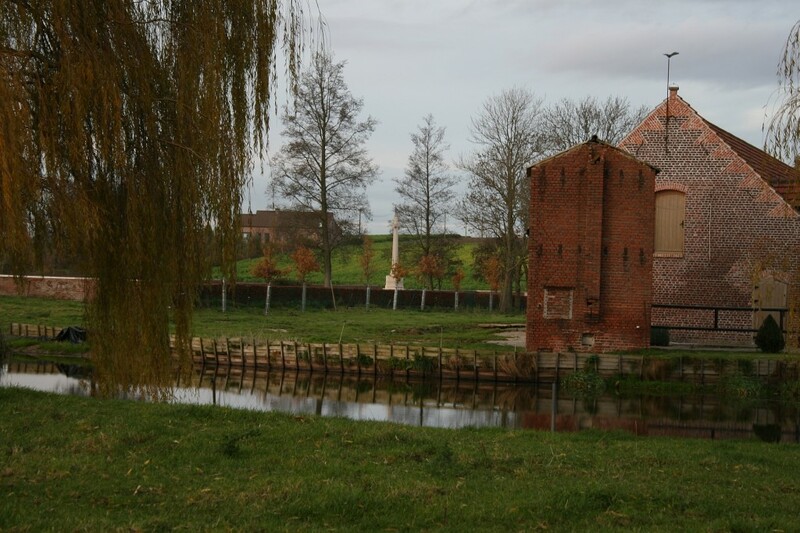 For the moment, I have added two maps to the end of this post showing Messines & Fanny Avenue, and Fanny Avenue is in relation to La Plus Douve. I think if there is a Fanny Street, it would have been very near Fanny Avenue, don’t you? Did you notice during this post that I mentioned the word ‘honor’ and the spelling used? Well now I know why, so I have added the Headstone Inscription Form that includes William Birbeck after the photo of his headstone. Can you tell me who Mrs E. Sutton is? Delighted, by the way, to hear about the “Return Soldiers League” club. Tell Mervyn to get them all to have a proper look around my website!